Fairly new to photography so forgive my foolishness before calling me out, I already know. I bought a Olympus 50mm F1.8 lens thinking it was a manual focus but when I received it I realized I misread and actually bought an autofocus. I currently have a Canon EOS Rebel T6 so the autofocus feature of course isn't working, but is there any possible way to buy an adapter that would allow for the autofocus feature to work or am I better off just reselling the lens to someone who could actually use it? The flange-focal distance only differs by a couple of mm between OM and EF mount, which means that the adapters are thin wafers of metal, with no space for adding electronics. It might be possible, but the extreme difficulty, combined with the fact that the auto-focus OMs weren't very popular compared to the manual models, means that there isn't much incentive for anyone to put the work into trying to produce such an adapter. 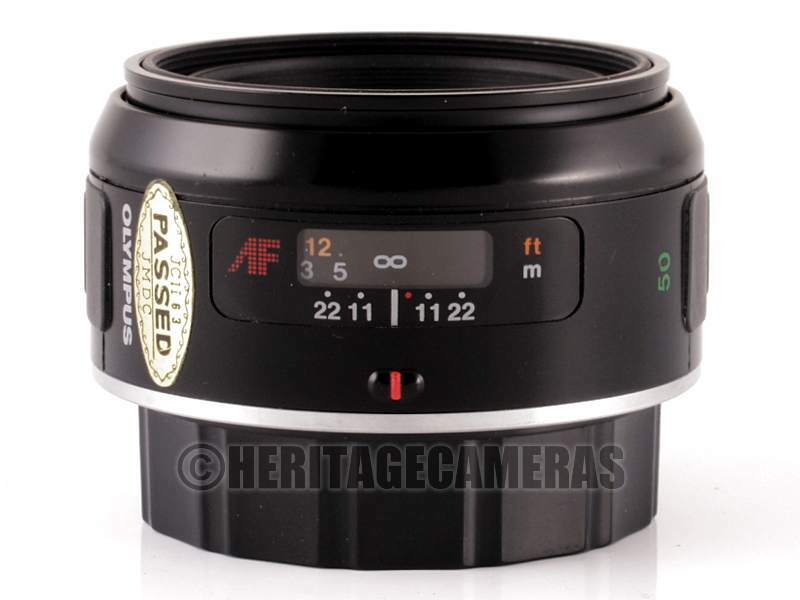 Currently, there isn't even a widely available commercial adapter to use OM AF/PF lenses manually. These rare lenses (which only fit two and a half mediocre-featured film camera models) have a mechanical aperture control but no aperture ring on the lens, and they are so obscure that no one yet marketed even a NEX bayonet adapter (which you can readily buy for lenses as obscure as Pentax 110 or 1960's Kodak bayonet) with the aperture slider you would need for OM AF. These won't even fit on all OM adapters due to extra coupling elements. Some of these can be manually focused by simply pulling and pushing on the front part, there will still be no aperture control (which would be nigh impossible to implement in a glassless adapter for EOS - there needs to be a motor in the adapter!) unless you are willing to hack the lens and unmount it to change aperture. Not the answer you're looking for? Browse other questions tagged canon autofocus lens-adapter olympus or ask your own question. Olympus T2 Adapter ring stuck on my Sony Alpha — how can I get it unstuck? Are there any good pancake lenses for Canon EOS DSLRs? Sigma 1:4.5 70-210 for Olympus - will this work for Canon 600D with an adaptor?